The prospect of ghost-writing an autobiography for a top executive appeals to journalist Mike Stanhope. He can use the money, and he knows the man’s business background well. What could possibly go wrong? But Alan Treadwell is a tough taskmaster, imposing tight deadlines and taking a demanding slant on the way his book should be tackled. Soon Mike is wondering if he’s bitten off more than he can chew. He’d like to learn more from Joe, the original writer he’s been recruited to replace, but Joe is nowhere to be found. It doesn’t help when Mike starts finding out things about the great man that he’d rather not know: things, moreover, that someone would prefer to keep quiet. Meanwhile, Mike’s hard-won relationship with his girlfriend is faltering badly, and his repeated absences aren’t helping. When he’s drawn to an attractive new woman he starts to question everything about his old life, but he soon realises that changing course could come at a high cost. Before he knows it he’s lunging towards a crisis on all fronts. “Credit” can mean a lot of things. In Mike’s case, it mostly means credit for the work he’s doing on Alan Treadwell’s autobiography. It Iooks as though he won’t get any; Treadwell wants to keep the glory to himself. It could also be credit for Mike’s attempts to uncover an overlooked conspiracy. Quite separately, however, “credit” can mean access to finance. 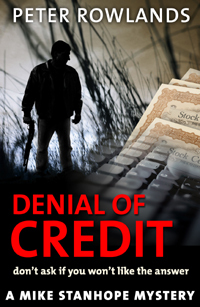 In the course of Denial of Credit, several characters find their credit has been compromised. The meaning of this teasing term continually vacillates as the story unfolds. Insider trading – exploiting privileged knowledge to profit from buying and selling shares – features as a possibility in Denial of Credit. The practice is frowned upon, and in some cases it’s illegal, yet reportedly it is not uncommon in the real world, and people seem to get away with it surprsingly often. Mike Stanhope’s toughest challenge so far? Downbeat journalist Mike Stanhope returns in Denial of Credit for a third foray into the murkier corners of the logistics world. There’s mystery, intrigue and the prospect of an enticing new romance, all told at breakneck pace; but there are also darker overtones this time, and greater moral ambivalence. Mike has to strive hard to retain his integrity and come out unscathed from the challenges he confronts. Alan Treadwell, the executive at the heart of the story, is a towering figure – brusque in manner, unwilling to suffer fools, and feared as much as he’s admired by former colleagues. Mike develops a cautious respect for him, but has to come to terms with increasingly unpalatable aspects of his life as his book project progresses. 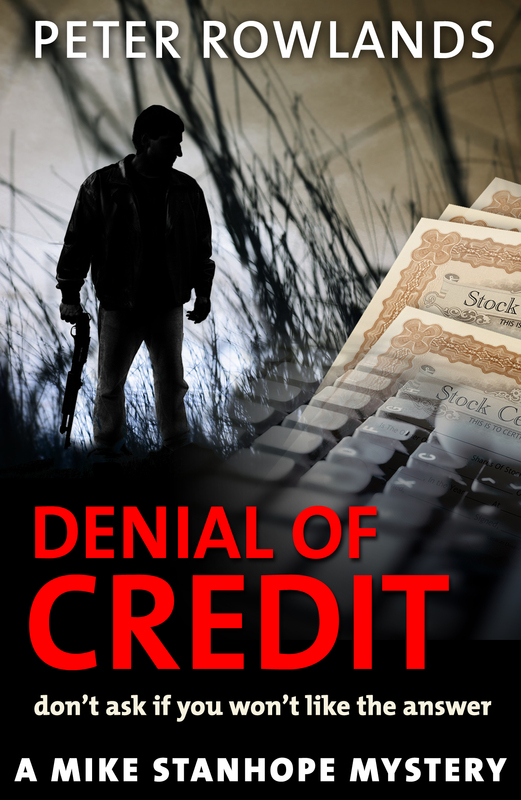 As ever, Denial of Credit features an intricate plot in which apparently unrelated elements interweave in ways that turn out to be satisfyingly interlinked. The stakes are high, and the action builds to an explosive climax as Mike finally understands what he’s stumbled into. More comment in my blog about this book!